Now available! 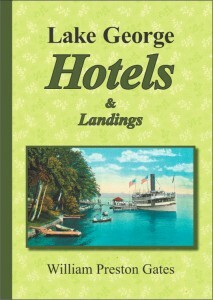 A new book by Bill Gates titled: LAKE GEORGE HOTELS and LANDINGS. Now available! A new book by Bill Gates titled: LAKE GEORGE HOTELS and LANDINGS. Over 100 old hotels and steamboat landings. Over 400 old photos. Indexed.